One of the biggest decisions you can make when it comes to your mortgage rate is whether to go with a fixed or variable mortgage. Most Canadians either don’t know the difference or choose to go fixed – over 3 quarters of Canadian mortgages are fixed rate. What’s the reason for this? 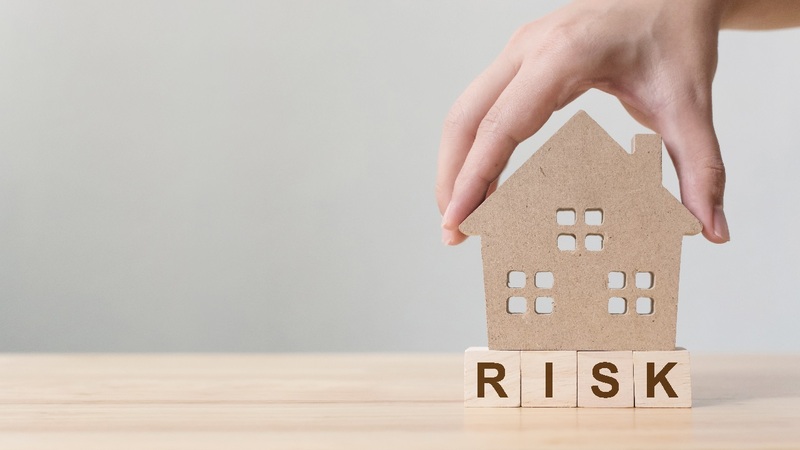 Canadians tend to be risk averse, and that’s could be a contributing factor to why fixed rates are so popular. Another might be the fact that lenders and mortgage brokers earn more money when a client chooses a fixed rate. 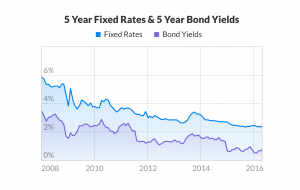 On the other hand, fixed rates are currently dropping while variable rates are staying the same. If the difference between the lowest fixed-rate mortgage and the lowest variable-rate mortgage isn’t very high, it could be well worth it to lock in a fixed rate. But that should be a choice, not the default. Let’s take a look at the benefits of fixed and variable rates, and why you might choose one over the other. By far the most recognizable benefit of a fixed rate is stable monthly payments. As a fixed rate doesn’t change anything for the length of the term, what you pay in the first month is the exact same as what you’ll pay in the last month. 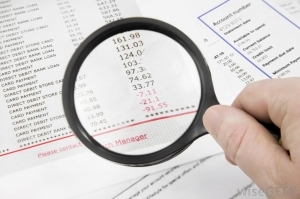 This makes budgeting and forecasting easy. You’ll know exactly how much you’re going to pay, how much of your payment is going to interest, and what your remaining mortgage balance will be at the end of your term. If you take advantage of your mortgage pre-payment privileges, you will find that you pay less interest overall and your mortgage will be paid off faster, but your pre-payment doesn’t affect your monthly minimum payment at all. 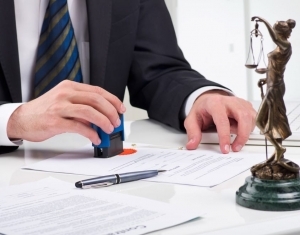 Fixed rates also have a downside that isn’t talked about very often – mortgage penalties. One of the ways that lenders make money off of fixed rates is to charge a high penalty for breaking the mortgage early called the Interest Rate Differential (IRD). The IRD is a complex equation that results in you paying more if rates go down and you need to get out of your mortgage. If rates go up or are about the same, the penalty for a fixed mortgage will be 3 months’ interest instead. You can read more about the IRD here. The biggest misconception about variable rates is that the payment changes when the Bank of Canada raises or lowers interest rates. While it’s true that the interest rate of variable mortgages does change with the Bank of Canada rate, your payment actually remains the same. What changes is the amount of your payment that goes towards interest. When interest rates go up, more of your payment has to go to paying off interest, so less is left over to reduce your principal amount. Less money going towards principal means it will take longer to pay off your mortgage in full. Your amortization (time until mortgage is paid off) increases every time the Bank of Canada raises interest. Conversely, when the Bank of Canada lowers interest, more of your money goes to the principal. This speeds up your amortization and doesn’t require you to pay any more per month. Variable mortgages also don’t charge IRD as a penalty for breaking early. Instead, they charge a flat 3 months’ worth of interest. Depending on the size of your remaining mortgage, this could be fairly cheap, especially when compared to the fixed rate penalty. The biggest fear about variable mortgages is having interest rates go up several times, costing the borrower thousands of dollars more than expected. It’s definitely possible for your rate to increase during a variable term. In fact, if you got a 5-year variable mortgage in July 2017 your interest rate would have increased by 1.25% up till today. That’s not a small amount of money. On the other hand, variable mortgages are often much cheaper than fixed mortgages. The difference between the best fixed rate and the best variable rate is known as the “spread.” Currently, the spread isn’t very large because of huge cuts to fixed mortgage rates from big banks and small lenders alike. The spread as of time of writing is the smallest it’s been in years, at just 0.09 percentage points. When the spread is 1 percentage point or more, it makes a lot of sense to go variable. The money you’d save at the start of the mortgage would outweigh the potential increase you might end up paying at the end of the mortgage, unless rates rose quickly at the start of your mortgage. When the spread is smaller, it isn’t as easy to go variable – especially when the mortgage amount is also small. The difference in interest between a $200,000 mortgage at 2.84% and that same mortgage at 3.04% is just $20 a month. It definitely adds up over time ($1,200 over 5 years) but it’s not likely to break the bank. If the mortgage amount was $600,000 instead, the cost of interest is $61 a month ($3,660 over 5 years). Mortgage rates in Canada aren’t the lowest they’ve ever been, but they are still very low. There isn’t much room for them to go down – but there’s potentially a lot of room for them to go up. With a low spread it’s riskier to choose variable, even if you do save money at first. Opportunity cost is the loss of potential money you might have earned if you did something else with your money. Since fixed rates are more expensive than variable rates at the start of a term, you can’t invest that money somewhere else because it’s being spent on interest. With a larger spread, opportunity cost is even higher. It’s hard to imagine the loss of potential income because you never see it (by definition), but it’s important to think about before taking on a fixed mortgage. Variable mortgages have historically been cheaper, on average, than fixed rate mortgages – even when rates were rising. That’s because you save the bulk of your money at the start of variable term with a large spread. Even if the rate ends higher, you would have already saved most of the money you could have. Nowadays, that question is a little murkier. The mortgage outlook for 2019 is that it’s unlikely the Bank of Canada will raise rates, meaning variable rates will remain cheaper than fixed rates, even with a small spread. However, one increase would make the best variable rate more expensive than a fixed rate. With a spread of 1 percentage point, it would take 4 increases for variable rates to be as expensive as fixed rates. If you’re the type of person to constantly fret over interest rates and the potential of losing money, it may not be worth it to choose a variable mortgage even if it is actually cheaper in the end. No mortgage is worth being constantly stressed about. As always, we recommend talking to an expert mortgage broker to walk you through all your options.